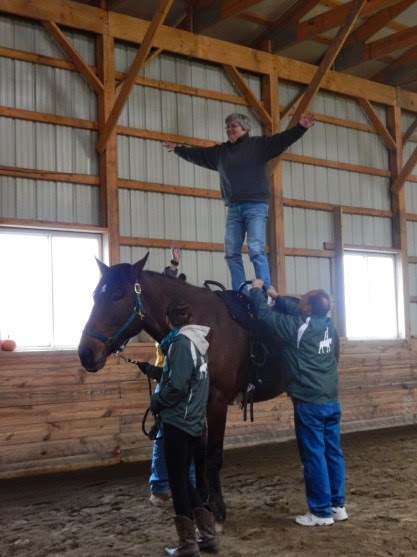 I know that last November when I told you I had stood up on the back of a horse, and ridden upside down and backwards, that you found it far-fetched to say the least. Most of you politely nodded (but I saw the eye-rolling!). Now, here is proof positive that I really did do those things! Standing up, horse standing still. 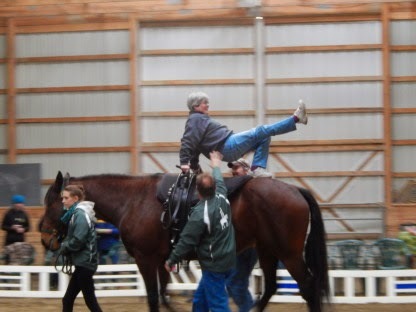 Me with leg in air, horse moving. 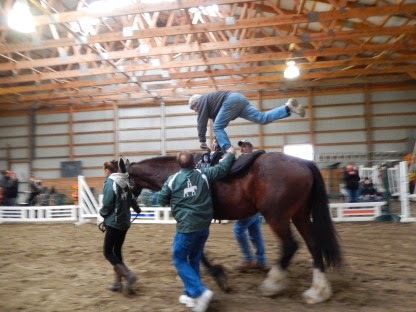 Riding upside down and backwards, horse moving. 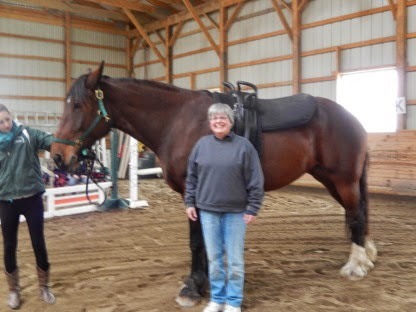 And me on the ground beside Maggie--I couldn't have done it without her! It was a great experience and I hope I can do it again. For now, I'm just trying to stay in the saddle. And let me state for the record that I've never aspired to be a flying Wallenda! P.S. I am listening to Unlucky 13 by James Patterson. Well, it was a scorcher today! 90 degrees on the car thermometer when I started home at 5:30. 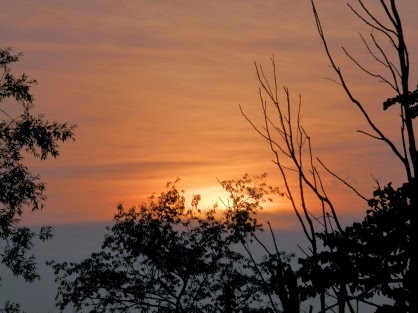 As I was battening down the hatches in case the dire weather conditions did come to pass, I noticed the sunset. 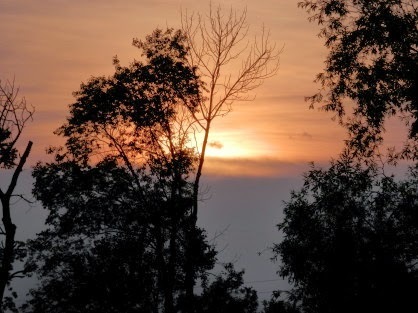 There is just something about trees against the sunset sky that inspires awe. Enjoy. 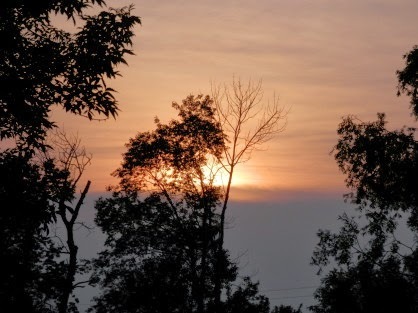 It's just amazing what I see from my sewing room window. Impressive indeed! First up, Ruth P. finished her Monthly Bliss 3 top. It's a beauty and will be perfect for the Christmas season. Great job, Ruth! 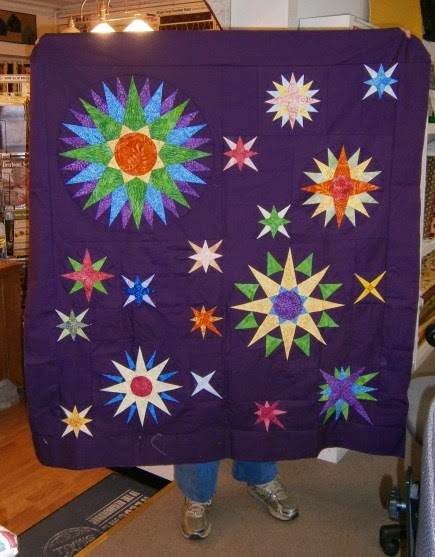 And Cheryl finished her Mariner's Compass Bliss top! She was the first done (the class just finished last week!) but others are closing in. The purple background gives this a different feel than the navy. Did I mention Cheryl LOVES purple? Just beautiful. I'm always excited to see progress on class projects! This morning I had a dental cleaning appointment. When I got there, several of the hygienists were staring out the window with binoculars! It's a beautiful rural setting, with bluebird houses and a large field that is just growing wild. Curious, I asked what was going on. The reply? The "resident" doe had gone into labor and they were watching to see the birth! She was not far from my "portal" when we started the cleaning, but she moved out of sight as we progressed. 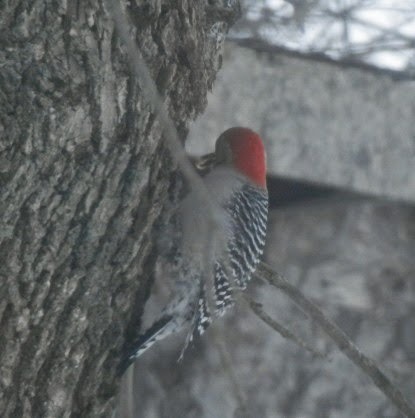 When we spotted her again, she had had the baby and it was up and suckling! Just amazing! A great way to start a Monday! Okay, enough for tonight. See you tomorrow. A trifecta of quilting book goodness happened this week. 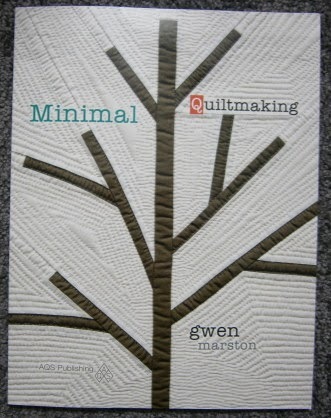 First, Minimal Quiltmaking by Gwen Marston. Love the cover quilt. And the part I like best about the book is The Grand Finale: A Baker's Dozen. 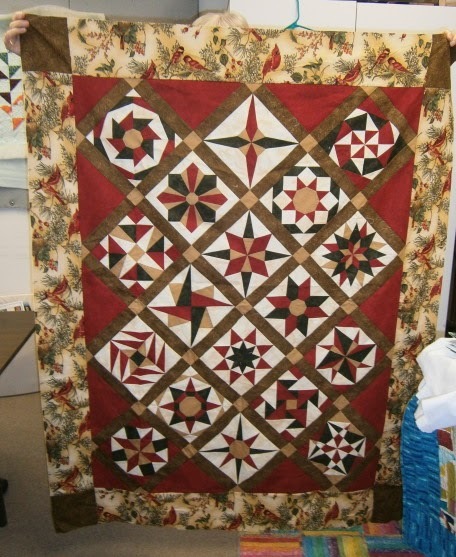 Small quilts with minimal piecing and exquisite hand quilting. Definitely drool-worthy! 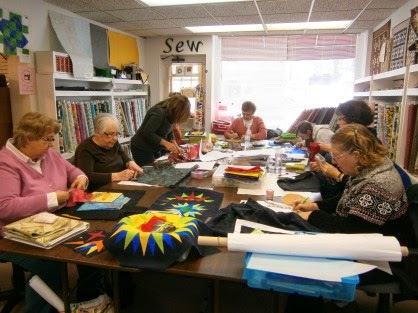 Yoko Saito is a prolific quiltmaker from Japan. 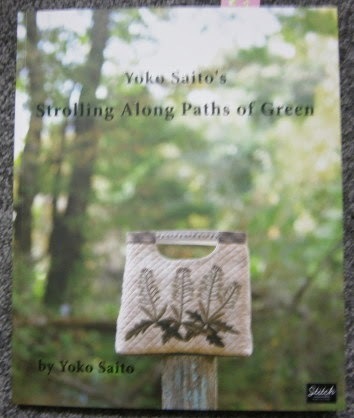 Stitch Publications has recently begun publishing her books in English--what a treat! 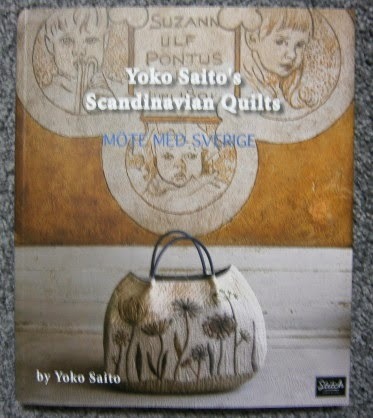 A friend shared the Japanese version of the Scandanavian Quilts book with me several years ago. A visual treat, but one was left yearning to know what was in the text. The diagrams and pictures were so clear and complete that I was able to complete it with no problems. It's not quilted yet, but I love how it came out. 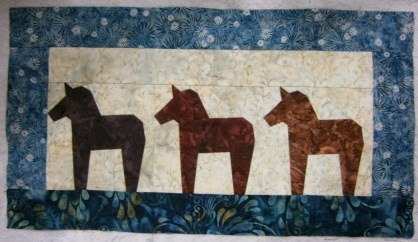 The fabrics represent three of the Morgans I worked with: Electra, Hallie, and Topper. The good news for you? You can enjoy all the projects in Yoko's books in English, with imperial measurements! Be sure to check them out. Eye candy and lots of inspiration, if nothing else. 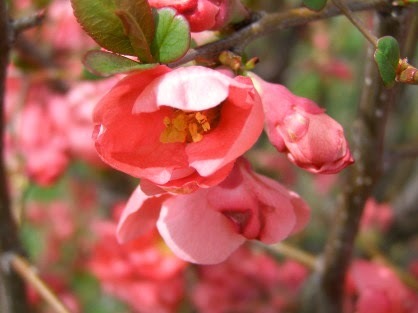 The flowering quince has such beautiful blossoms and they are quite long-lasting. Mine is near the road and has managed to survive years of banked snow and road salt. I must mow off at least ten to twelve volunteers each week. P.S. Special shout out to Terri and Marie! Thinking of you both. I rarely remember to take pics during a class. For whatever reason, I snapped this during a Mariner's Compass Bliss class at O'Susannah's earlier this year. Given the concentrated looks on their faces, you'd think I was a mean, whip-wielding task master! So serious they are! 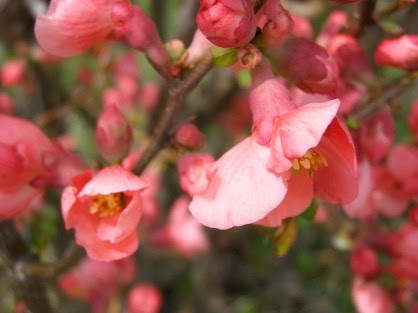 I neglected to get them when we were laughing uproariously about some strange topic or other. P.S. I am listening to Fear Nothing by Lisa Gardner. 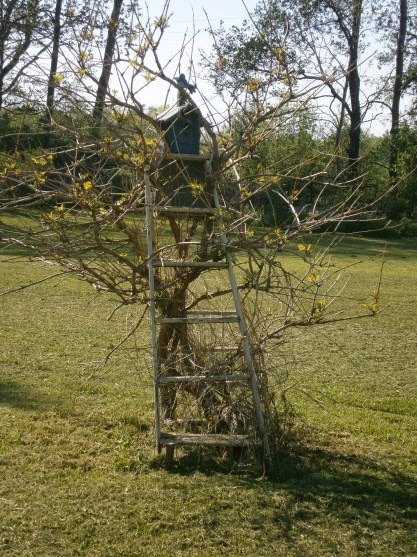 Anyway, while doing hand mowing around it a week ago, I took real notice of the ladder. 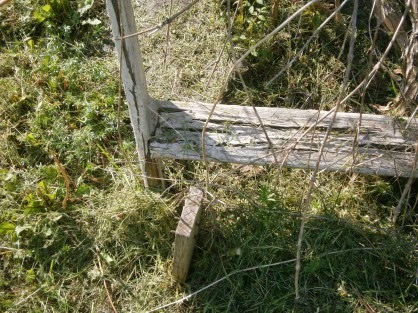 And the ladder is not even close to the support it was once attached to. 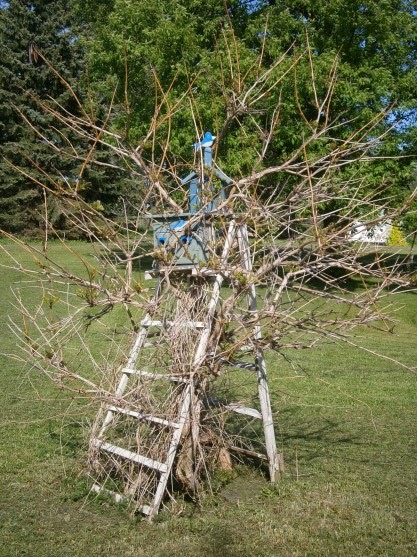 So, dear readers, it is the trumpet vine that is holding up the ladder! What an ironic twist. I'm just leaving it alone and will see what happens. 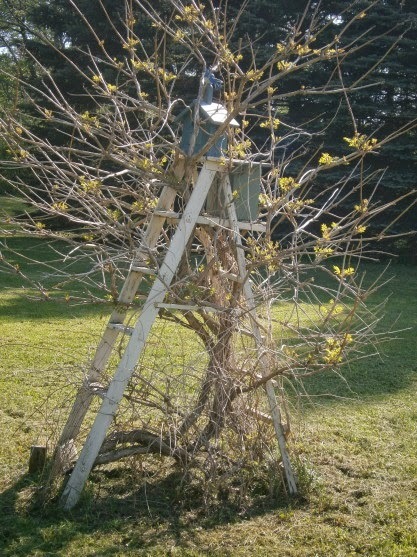 The birds are already nesting in the houses--they don't see any problems with it at all! And the hops vines? Already almost a foot taller than the pictures I showed before. Hope everyone had a great weekend. 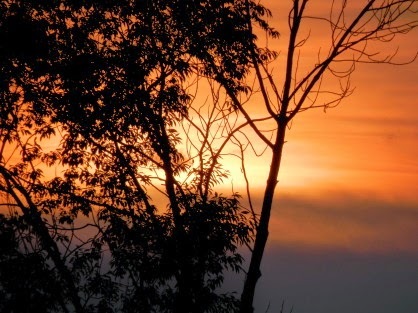 Hot and humid and rain forecast for this week. Glad I got the air conditioners in today.